NEW! LCD4Z, the easy-to-drive younger brother of the LCD4. While still available in the original 200 ohm version, the LCD4Z uses a 15 ohm voice coil, so it’s much, much easier to drive. 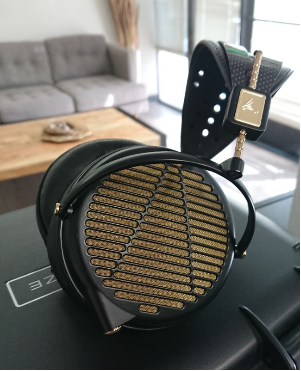 Unlike the LCD4, the LCD4Z comes standard with Magnesium rings with gold screens (unlike the silver screens of the LCD MX4), so it’s about 25% lighter. The LCD4Z is also available with the Ebony wood rings like the 200 ohm version for the same price. However, we now are very excited to offer custom wood rings for either 200 ohm or 15 ohm models at an additional cost of $500 retail.